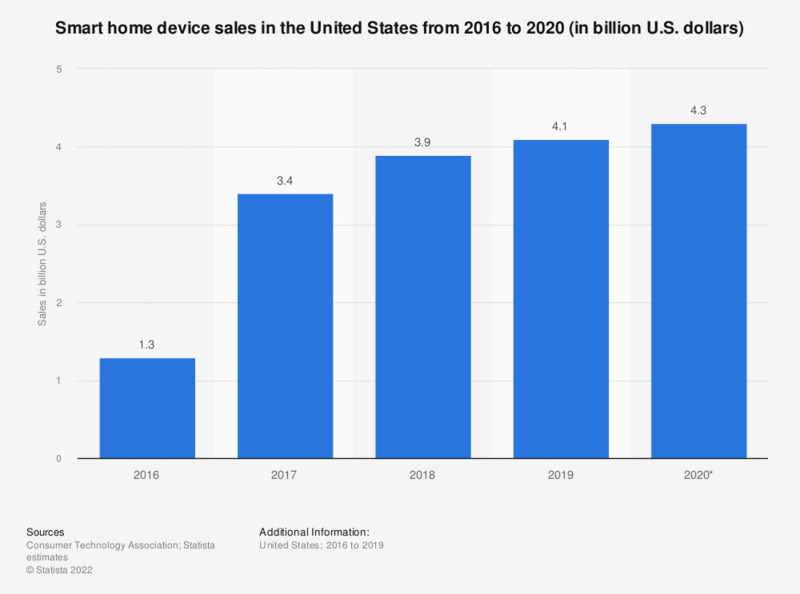 The statistic shows the smart home device sales in the United States from 2016 to 2019. In 2019, smart home sales is projected to amount to 4.6 billion U.S. dollars. 2018 figure was calculated by Statista based on 2019 figure and annual growth rate provided by the source.